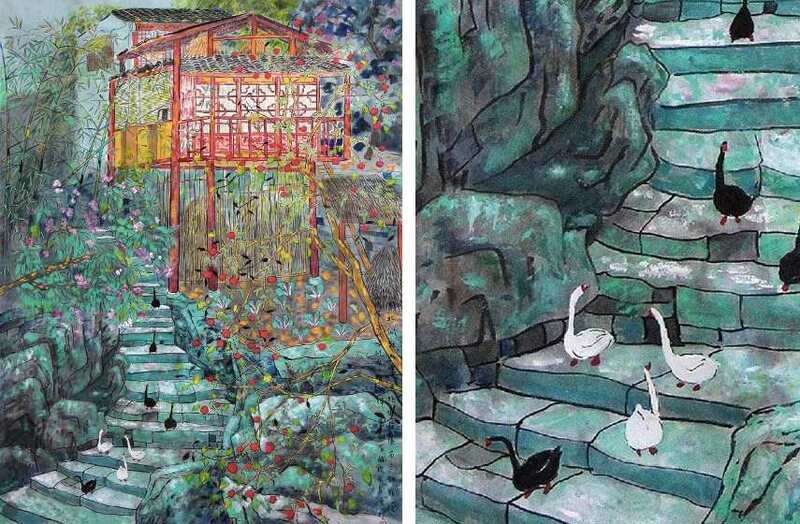 Fang Xiang makes warm and colorful paintings of traditional Chinese scenery. Inspired by rich cultural heritage, he exposes the unique beauty of Chinese elements. However, there is something quite cosmopolitan about his work. In a manner of traditional painting typical for his country, he delicately portrays various objects in all whimsical value. Along with old school methods, he incorporated a different lighting and shading, leaning to more contemporary look. His paintings emit a radiant energy and give a pleasant feeling to the viewer. They look almost fairy tale like. Fang Xiang was born in 1976 in Shanto City in the province of Guangdong. He knew from early childhood that he wanted to become a painter. He attended the Guangzhou Institute of Fine Arts where he graduated in 1988. His major was Traditional Chinese Painting. After graduation, he started painting full time and became the artist in residence at Guangdong Fine Arts Academy in 1995. Just two years after taking residence he had his first solo exhibition in the USA and in Singapore. Throughout his prolific career, he exhibited his work worldwide. International reception of his work was very impressive in the last two decades. 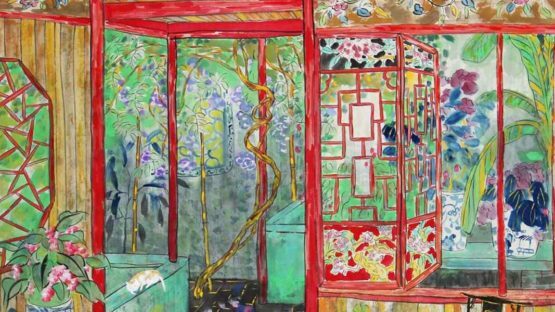 What is considered as traditional in Western culture maybe differs from how it’s taught at the academies, but Xiang’s ability to transfer the atmosphere of China’s landscapes and scenery, charmed many art critiques and public audience across the globe. The symbolism is obvious and it lingers in the background. What instantly draws attention is his captivating and slightly washed out color palette. He uses ink water splashes on traditional handcrafted rice paper. The painting has to dry completely before another layer is being added over. The process is repeated as many times as needed until the perfect result is achieved. Xiang manages to grasp both polarities at the same time, the calmness and activity. 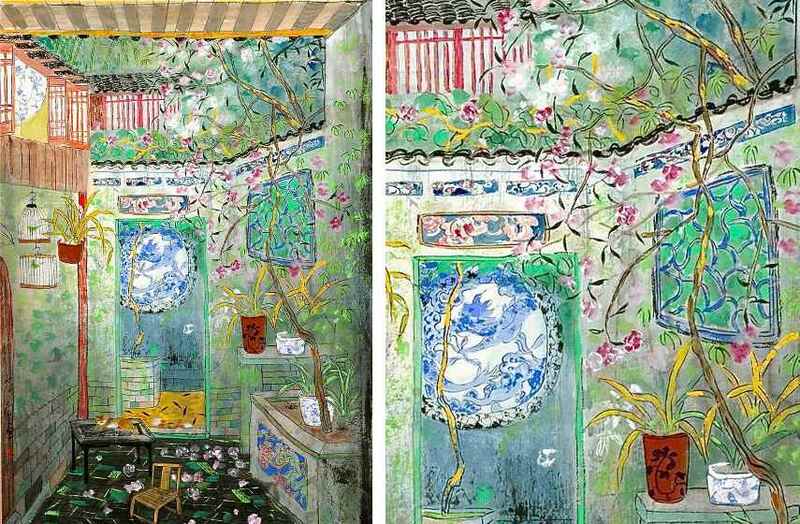 Simultaneously providing contradictional effects, Xiang succeeds in keeping the viewer engaged at all times. The paintings look like they live and breathe, almost as if it’s possible to hear the water and smell the flowers. 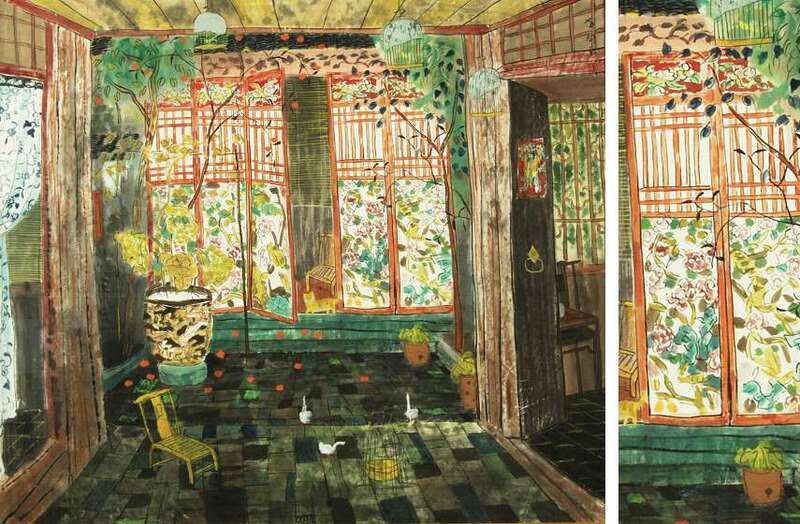 He uses familiar elements such as bird cages, Chinese rooftops, lanterns, bamboo, and flowers. Fang Xiang won many awards for his art. In 2004, he won the bronze medal at the 10th National Chinese Fine Arts Competition. During the 90’s he won both silver and gold awards for his quiet, tranquil, yet lively and invigorating paintings of beautiful Chinese scenery.